Mastercrafts full line of XT Series boats truly offer the best performance, comfort and overall watersports versatility for the family that likes to do it all on the water! 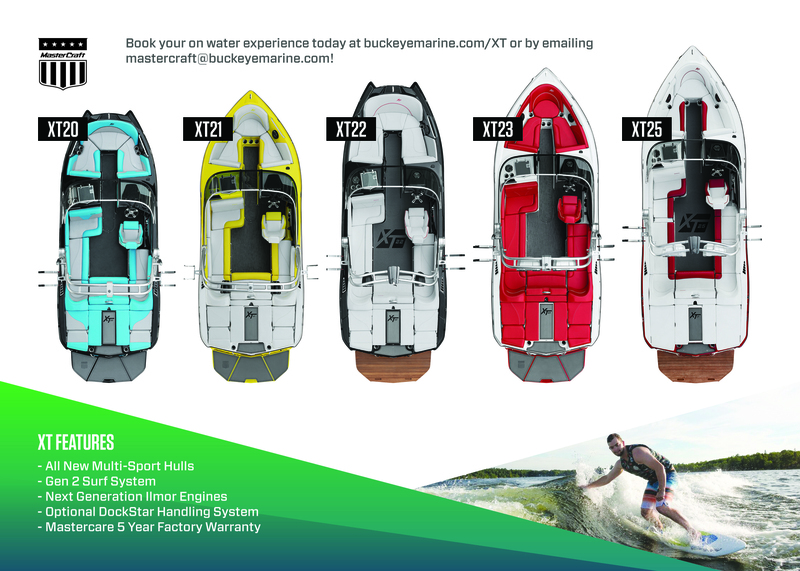 With models ranging from 20-25 feet, there is an XT series boat specifically designed to suit your family’s unique needs. These innovative multi-sport hulls truly provide the best of both worlds; offering the performance to enjoy an early morning slalom ski set, followed by an afternoon of surfing and cruising the lakes in comfort. Don’t take our word for it though, schedule an on-water demo with us this spring to get in, and behind, these boats to experience the XT Series difference! 2018 MasterCraft: XT Series Review from MasterCraft Media on Vimeo. Reach out to us at mastercraft@buckeyemarine.com to learn more and schedule your demo this spring!